China poker community is in shock after the announcement of a massive crackdown on online poker applications. For the past years, Texas Hold’em online poker apps have been fuelling the growth of the game in the country. It’s important to note that the legal frame behind this news apprently has not been officially published yet. Additional clarifications or even changes are still possible until the enforcement of the ban. Major consequences for poker in China? To understand the potentiel scope of the interdiction it’s important to understand that these poker applications are instrumental in the growth of the poker industry in China. 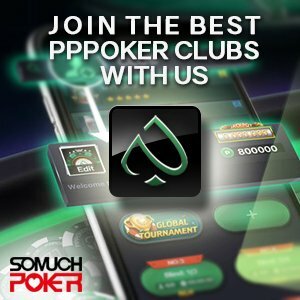 In a country where live poker is evolving in an extremely limited and regulated space, apps have been the primary tools to promote the events. Online giants like Tencent, Alisports (Alibaba), and Ourgame, all have launched their own applications in order to fuel their live events. Hundreds of players qualify via these online apps. Numerous other applications have also been used to host real money private games. This provides players an easy way to play poker in a country where it is difficult to access many international poker sites. By attacking and shutting down these apps, the Chinese government is practically crippling the backbone of the Chinese poker ecosystem. According to one media site, after the announcement, stocks of Boyaa Interactive International Limited dropped more than 10%. The Chinese company is just one of many that has a high income stream coming from their Texas Hold’em applications. Ourgame, the parent company of the Word Poker Tour, has announced that they will re-adjust their poker related activities in Mainland China to respect the latest interdiction. World Poker Tour events outside of China should not be affected. The Chinese Black Friday of Poker? For years, the government has been ruthless on shutting down sites that do not comply with societal standards. Last year saw thousands of online applications get the axe with many imposed stiff fines for violations. At this early stage, it is hard to know what long term consequences will follow this announcement but for players, this day could be remembered as the Chinese Black Friday. The growth of the game in China has been largely fuelled by the online scene with strong interest by several tech giants such as Tencent and Alibaba. With these poker apps banned, it will have an instant impact in the live scene. Though how much has yet to be seen. Ultimately, what the poker community currently hopes for is that this shakedown will lead to a quick clarification of the legal situation of poker in China and that the community will be able to build from this legal frame.